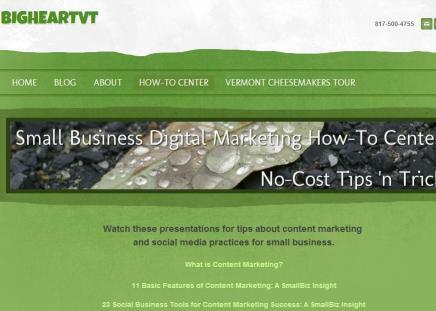 At BigHeartVT, we celebrate and support Vermont's business community by sharing stories, following successes, and creating resources. If you have a question, get in touch today! 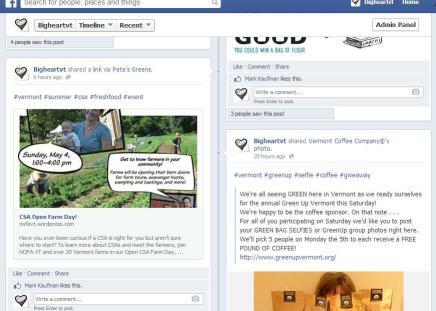 Follow BigHeartVT on Facebook to see updates about Vermont companies and products right in your feed. We discover and share all the latest giveaways, events, discounts and news. 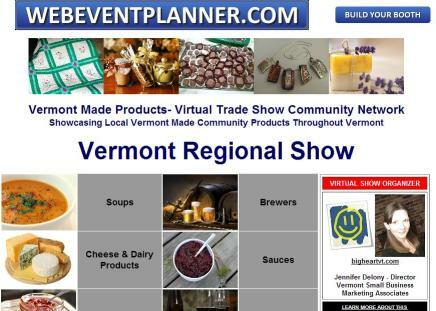 Visit the Vermont Made Products virtual trade show sponsored by BigHeartVT and powered by WebEventPlanner. Find new products or highlight your products with a virtual trade show booth for only $10. Discover how Digital Content Marketing can help your business build reach with your target audience online. Watch one of our presentations or contact BigHeartVT for a personal tour of our no-cost resources.